Perfect for your little ones in Mallorca: comfortable, stable and safe HAUCK travel cot (foldable) with changing top, viewing window, height-adjustable lie down area. Suitable as a playpen. Price includes mattress and fitted sheets. The HAUCK ++ travel bed with changing top and optional height-adjustable lie down area is just perfect for your Majorca holiday, and comes as a practical second bed in your holiday home. With it you’re well equipped, because it has everything what you need for your baby. The practical changing mat that is fixed on the travel cot allows you to swaddle your baby in a comfortable and relaxed way. It has an optional 2nd elevated lie down area where your baby is completely safe and secure, and you can take it in or out with no strains for your back! 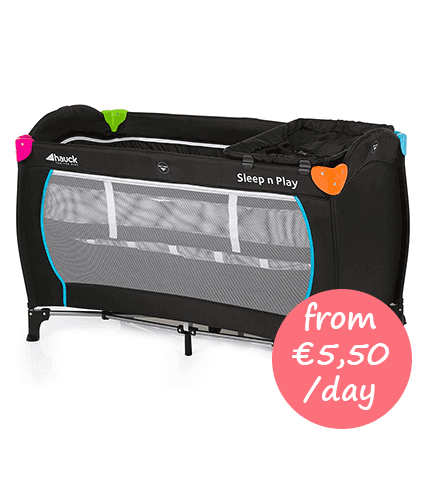 The HAUCK ++ Sleep Center is not only ideal for sleeping, but also for playing (for example as a playpen)! Through the viewing window, you see your child at any time and the lateral exit ensures great crawling fun. 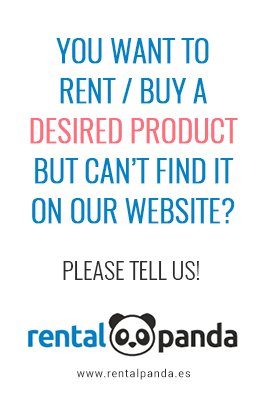 With just a few simple steps, your Mallorca travel cot from RentalPanda is set up or folded together, and with the help of the wheels it can be easily moved into any room. It comes with a washable mattress and fitted sheets. The travel cot is either new, or thoroughly cleaned and sterilized. Very stable – German Quality! For babies and children from 1 month, up to 16kg. This popular play and gymnastics mat for babies offers a variety of stimulating fun. With playful parts and pleasing colours your little one will be constantly entertained! The functional 3in1 system for newborns and babies - to lie completely flat, with baby car seat (similar to Maxi Cosi) and for sitting upright (buggy). Trendy design and very robust workmanship. A practical and colourful play pen for your little ones, with a removable 90x90cm mat. Easy to mount and dismantle and lightweight, it can be used just anywhere! Perfect for playful kids. At meal times your baby can sit safely and comfortably in this reliable and easy-to-clean IKEA chair. The high chair has rounded corners, a large storage area, a safe and stable stand as well as a seat belt for fastening. Your baby stroller for relaxing holidays in Majorca, the 2in1 pushchair system for newborns, can also be used as buggy! A real novelty for the beach: lie comfortably and well-padded on the sand, and find your perfect position with the adjustable backrest. Highly relaxing, very lightweight, it also comes with a carrying strap and storage compartment. High-quality play and coordination centre from IKEA, proven for many years. With powerful colours, child-oriented figures and forms, your baby’s vision and coordination skills are trained. 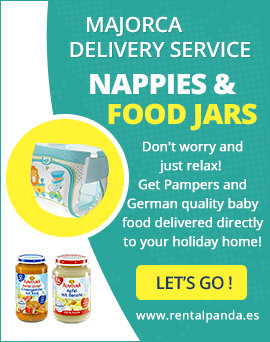 Gently and safely warm any kind of baby milk or baby food in just a few minutes! Whatever the weather, your little ones can now eat at the right temperature! For baby bottles, jars, or containers. Practical and easy to set up beach tents are perfect for Majorca! It just makes sense to have reliable UV protection all the time and is so much better than wasting euros every day on beach chairs and umbrellas. When you can get this put up in just 3 seconds why waste your money and effort?! A maxi-size beach blanket for the whole family. No more small towels that are always full of sand! Made from an extremely light but hard-wearing material it easily fixes to the ground with 4 pegs (supplied). The perfect way to clean and sterilize your baby bottles! In a few minutes, bottles, pacifiers, accessories and small parts are sterilized in your microwave by environmentally friendly disinfection with water vapour, and no nasty chemicals! Cool boxes with 16, 24 or 40 litres capacity. Great for the beach and on trips & excursions, when you are hungry, thirsty, or longing for something cold. Suitable freezer blocks are included in the rental price. A comfortable car seat for children from 2-12 years (9-36kg) which is suitable for all cars. Adjustable in several seat positions, it’s easy to secure with the car seat belt and is very safe. We deliver to hotel, airport or car rental company. A flat and very comfortable beach chair with armrests. Thanks to its very low weight, it is suitable for any place and any surface. Adjustable to several positions, you can even lie level to the ground for pure relaxation! Relaxed holidays and safe nights: with this baby bed rail your baby can’t fall out of bed! The protection is simply positioned under the mattress of the bed and is easy to dismantle and fold away with a 180° folding mechanism.